Sometimes we need to repeat a command in libreoffice as we do microsoft ofice. Short cut key is not a assigned as default. so We need to set it. In customize -> switch to keyboard tab. 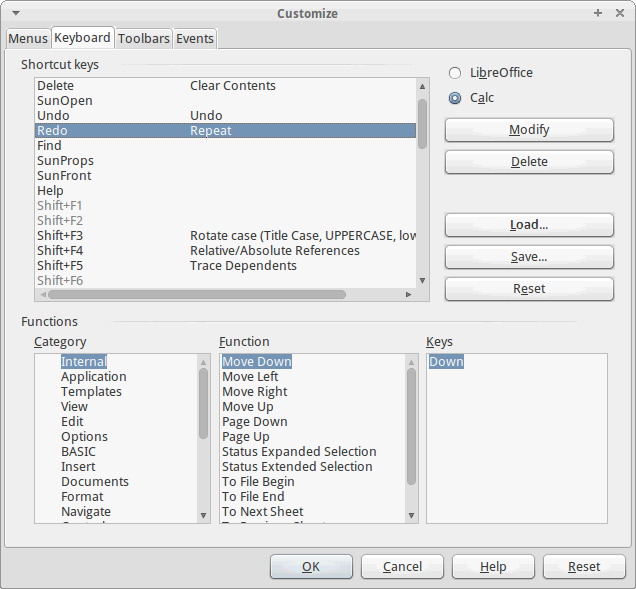 In bottom, change ‘category’ to edit & change ‘function’ to repeat. 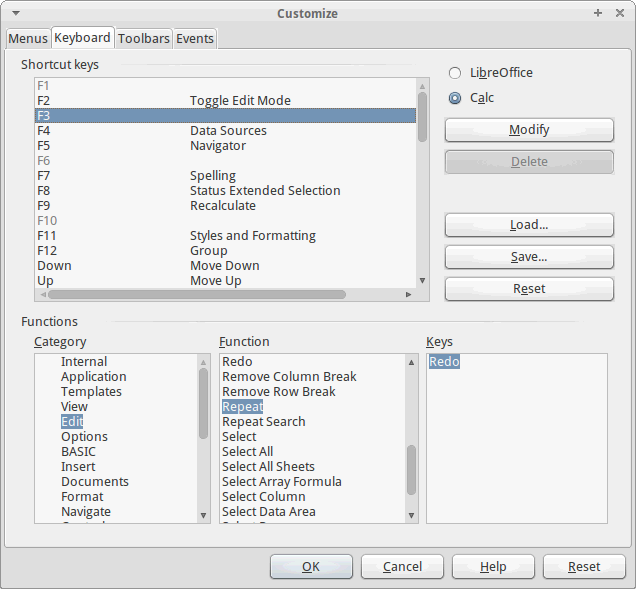 Then assign a shortcut key using ‘modify’ button in short key area as shown below. great. just need to explain that the keys can be saved into a config file that then needs to be loaded.